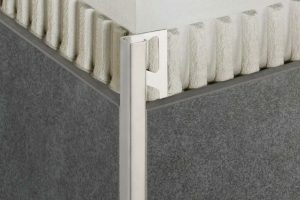 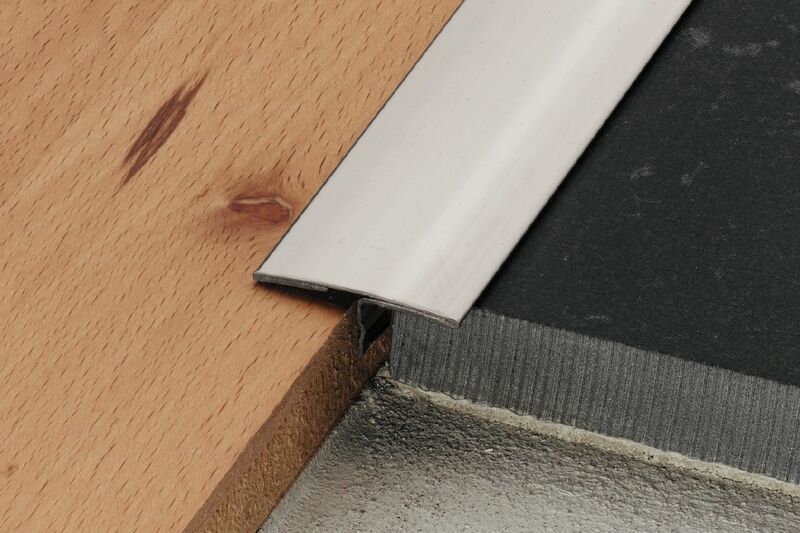 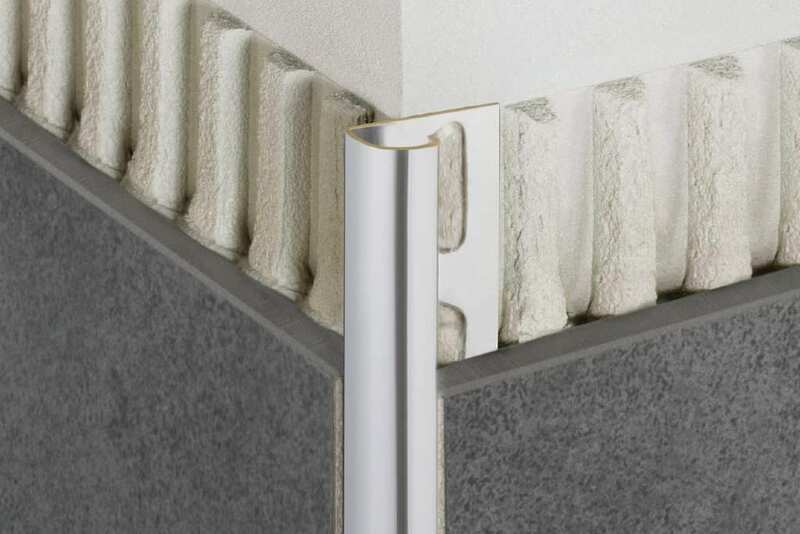 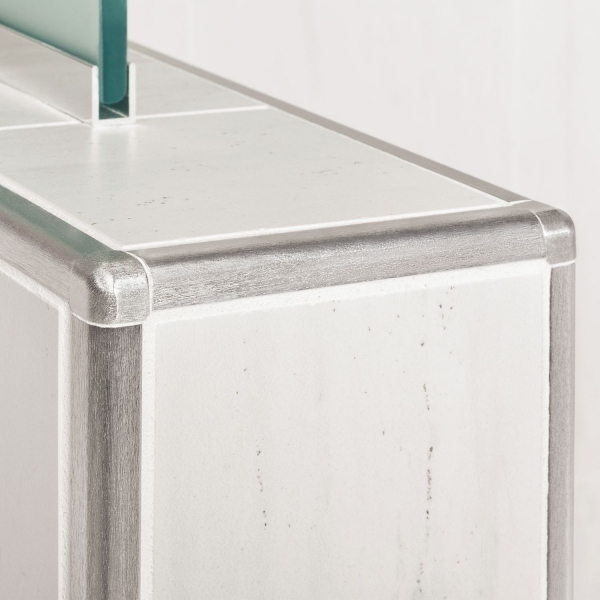 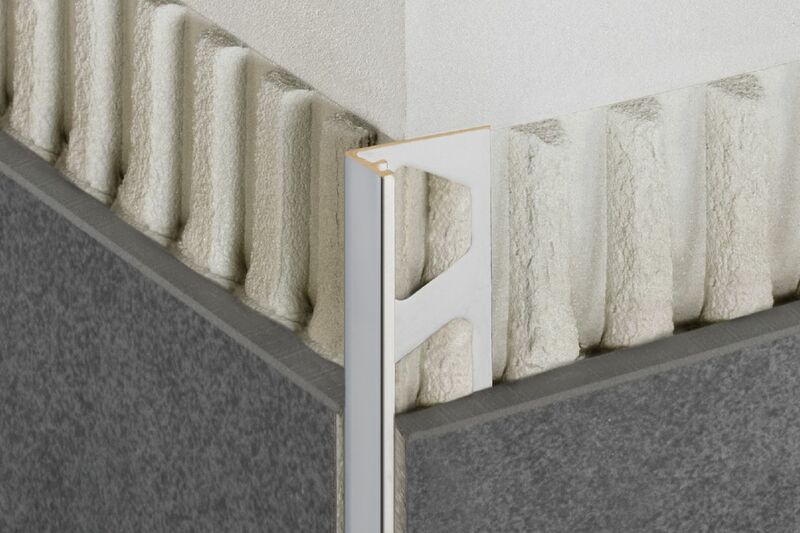 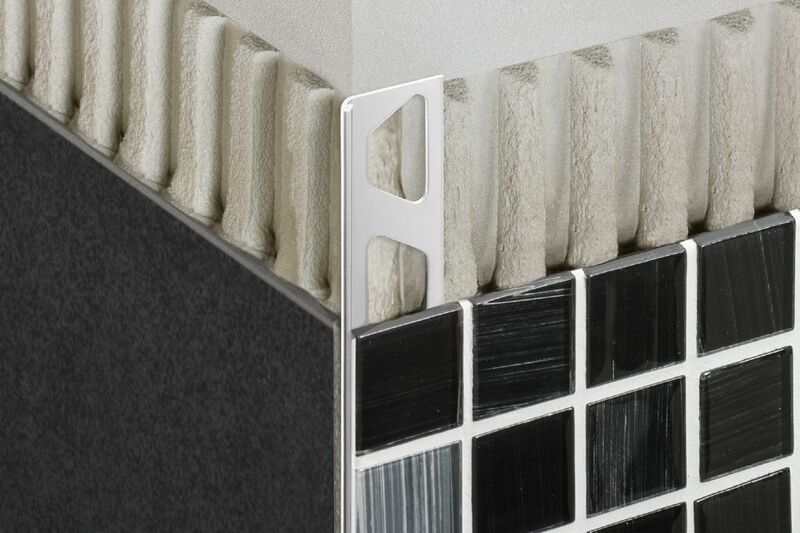 Schluter®-FINEC is a finishing and edge-protection profile for the external edges of tile coverings or mosaics. 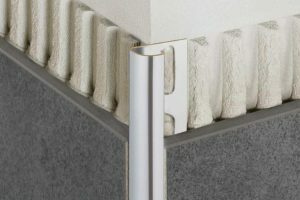 The finishing leg of the profile protects the covering edges from mechanical damage, and features a very slim, elegant reveal. Schluter®-RENO-TK is designed to protect tile edges and provide a smooth transition from tile coverings to floor coverings at lower elevations, typically carpet. 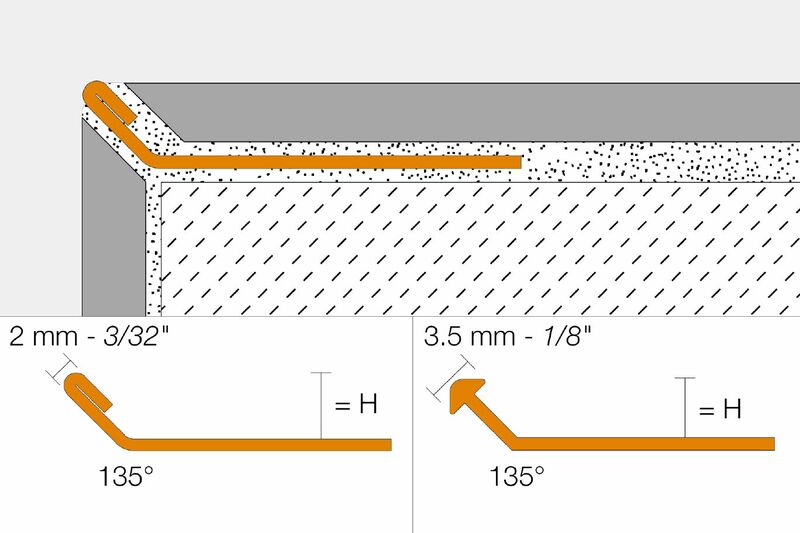 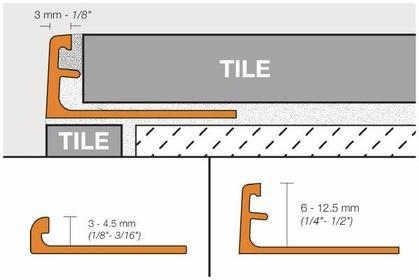 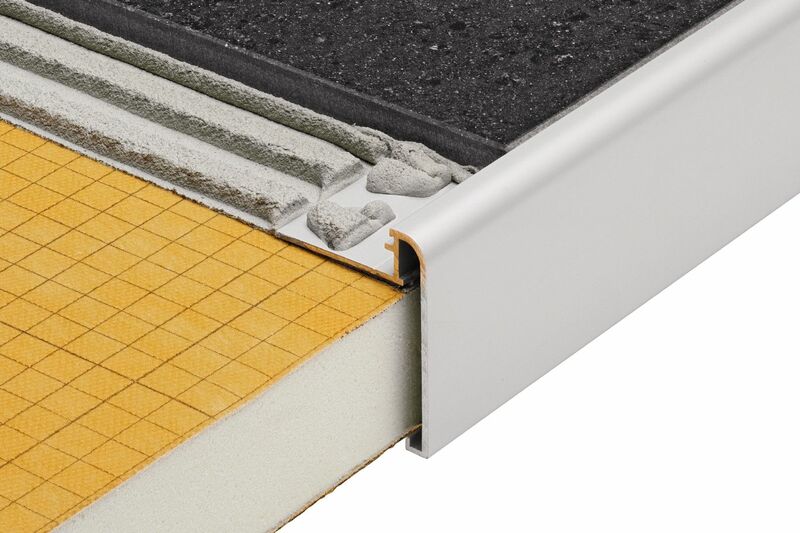 The Schluter®-RENO-RAMP profile is designed for new floor constructions, to create a smooth transition between tile coverings and floor coverings at lower elevations. 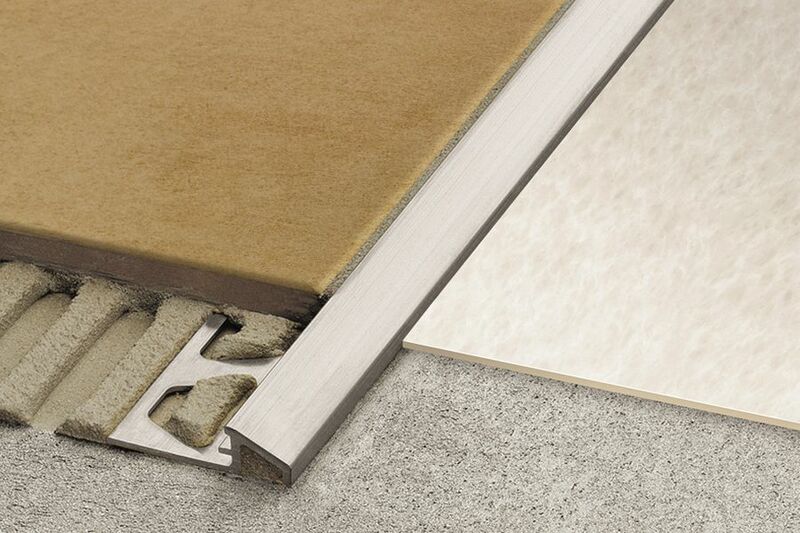 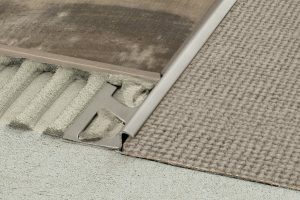 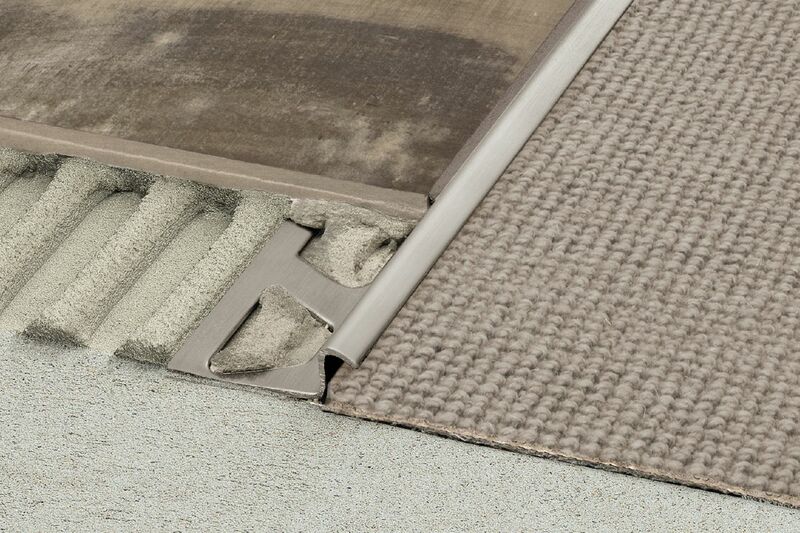 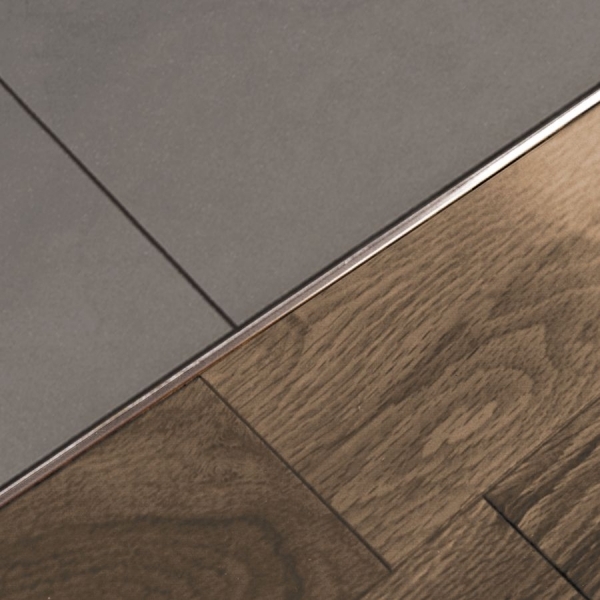 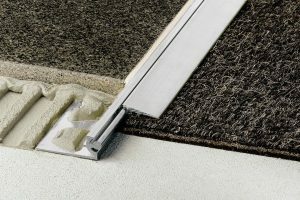 The RENO-RAMP-K profile is designed to be bonded to existing floor coverings. 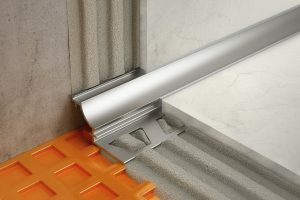 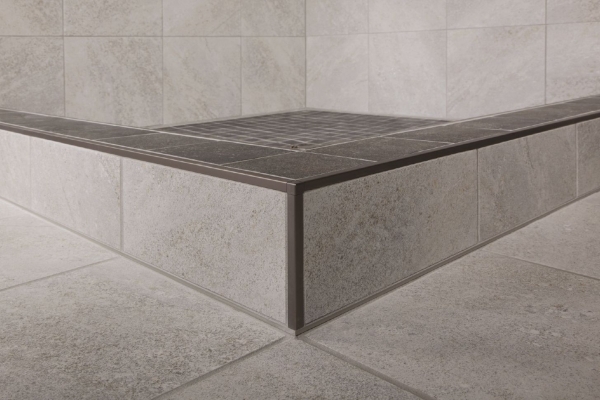 Schluter®-RENO-U is designed to protect tile edges and provide a smooth transition between tile coverings and floor coverings at lower elevations by abutting both surfaces. 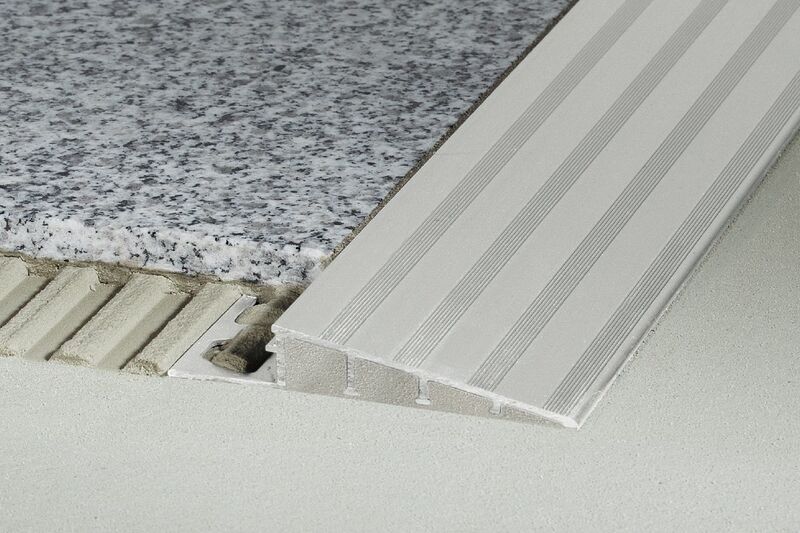 Schluter®-RONDEC-STEP is a finishing and edging profile for ceramic tile and dimension stone installations on countertops and stairs. The top of the profile features a symmetrically rounded edge that matches the RONDEC profile, while the vertical leg of the profile hides the exposed edge of the sub-assembly.